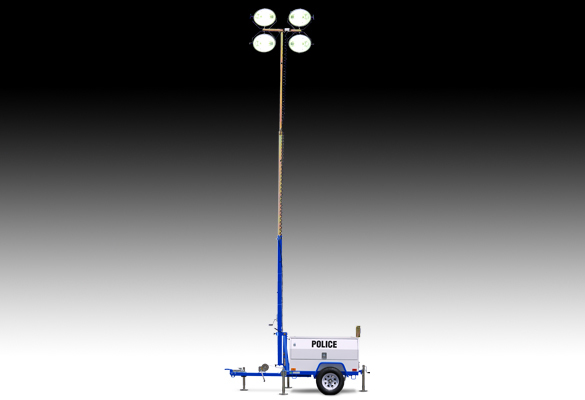 These light towers have a compact footprint and lots of features unique in this size, including the tallest mast, largest fuel tank, and longest run time. 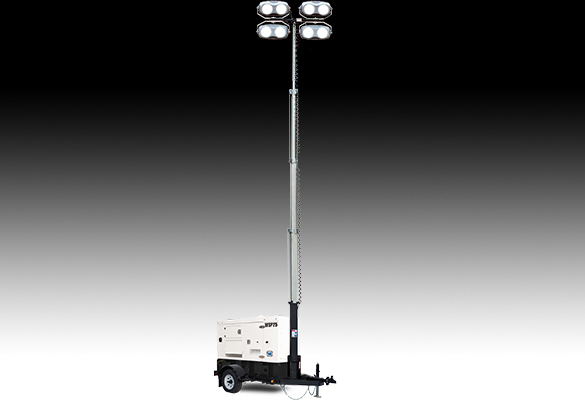 Four 1000-watt metal halide light fixtures top a telescoping mast and shine a uniform light pattern across an entire site. Onboard engine and fuel tank. 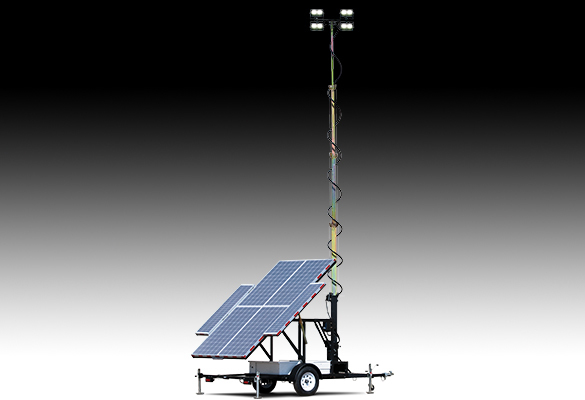 Quick and easy to deploy, the mast on these light towers is always vertical. 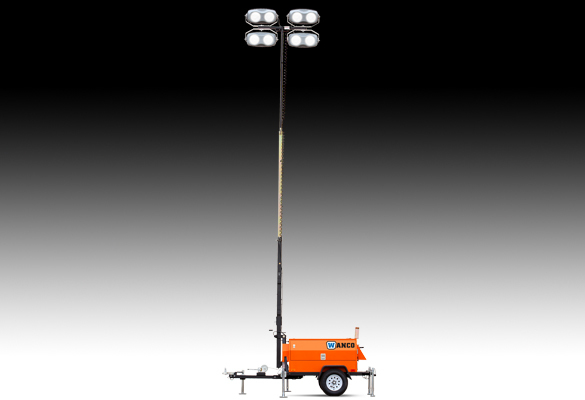 Features four 1000-watt metal halide lights atop a telescoping mast. 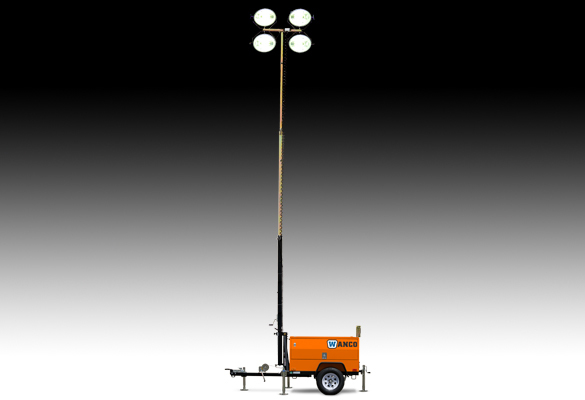 Wanco Long-Run Light Towers feature an exclusive, revolutionary design that provides more light than a metal halide light tower, but uses far less fuel. 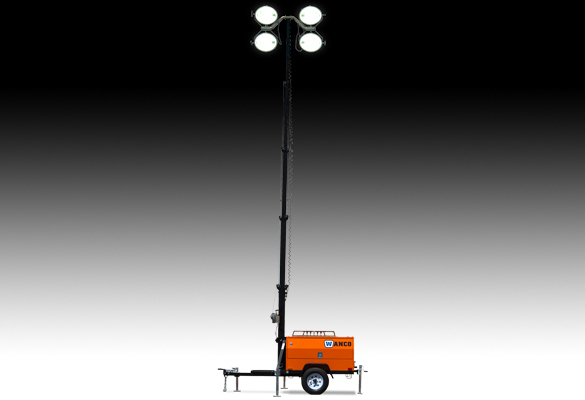 A 20kW light tower based on a powerful generator, features a vertical mast, extra-long run time and four bright, energy-efficient LED light fixtures. Compact design for utility site and road repairs, security checkpoints, gated entrances, flagger stations and small work areas. Autonomous summer operation. 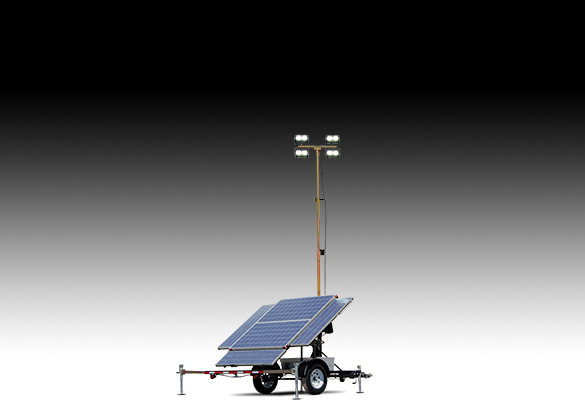 Perfect for parking lots, small construction sites, material staging areas and material staging. Autonomous operation spring through fall in most locations. 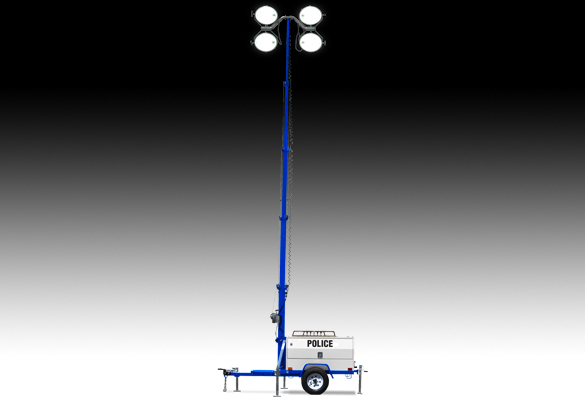 For more power and longer run times, with a larger frame and taller tower than our smaller models. Autonomous operation year-round in most typical locations. 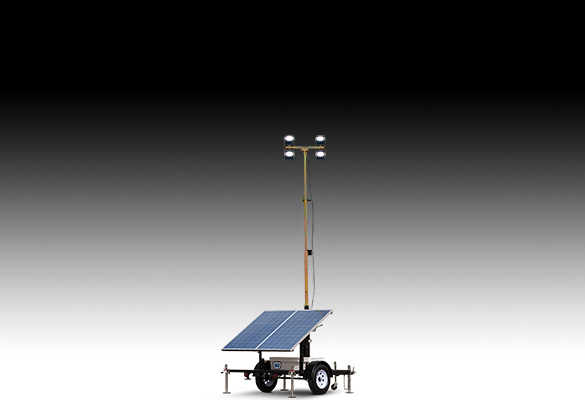 Designed for large-scale operations like pit mining, large construction sites, parking lots and freight yards. Autonomous operation year-round in most locations. 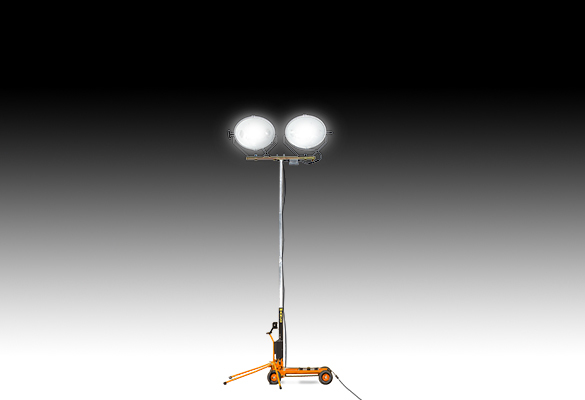 LED balloon lights provide diffused light that reduces shadows and eliminates glare. 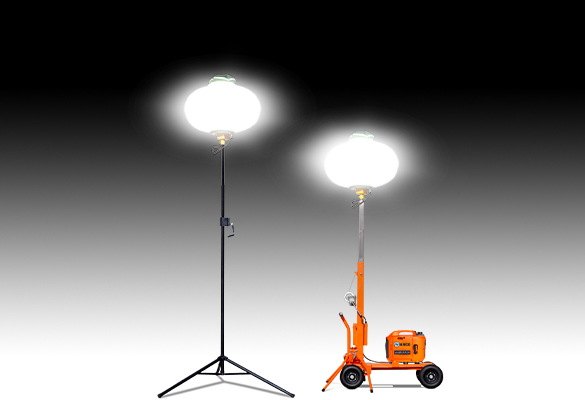 Extremely energy-efficient, use commercial power or a portable generator. 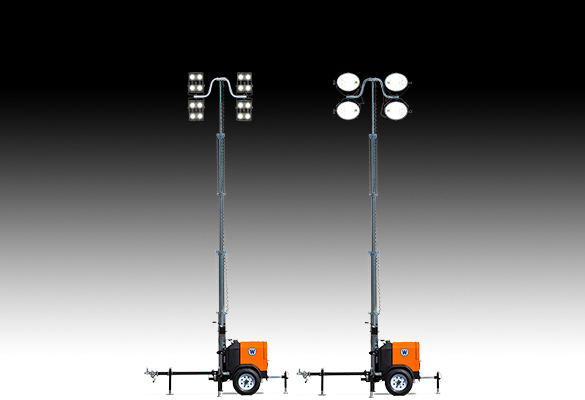 Two bright floodlights on a compact cart illuminate large areas for construction, utility repairs and emergency response. Lights can be aimed independently. Safety is always a concern when responding to an emergency at night. Get this proven tool for police, fire and rescue, accident investigation and more. Quick and easy to deploy with a mast that is always vertical. 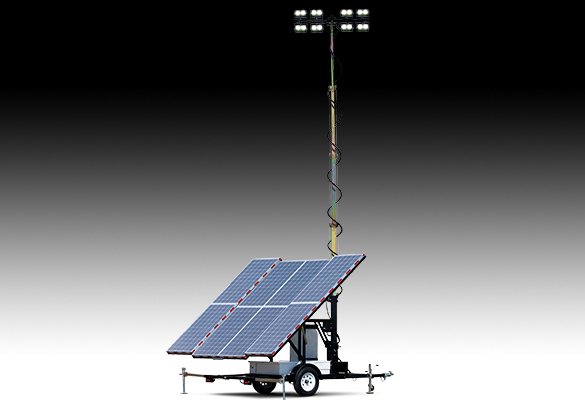 Features four 1000-watt light fixtures atop a telescoping mast that is raised with a single winch.